Do you love having houseplants in your home? If you do, you're in luck. 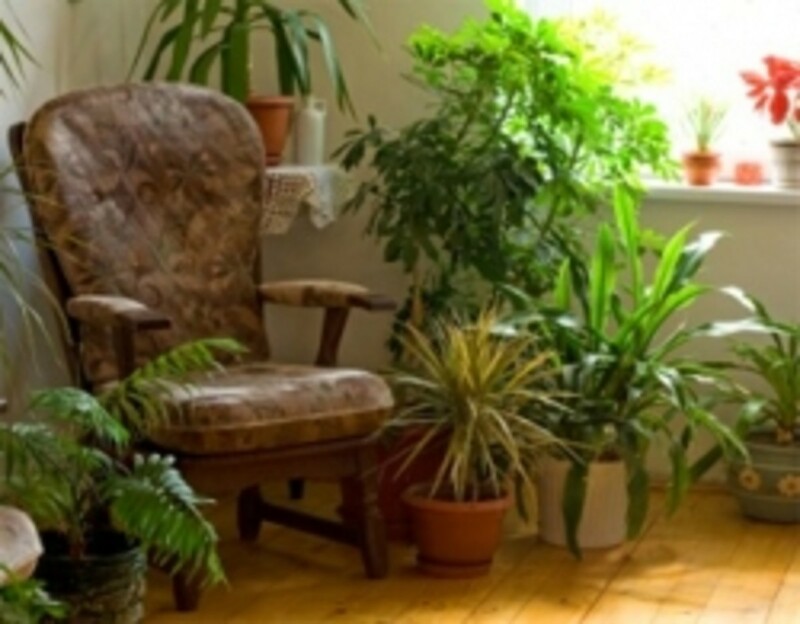 Are you aware that certain houseplants can help to create a healthier environment? New research shows that some houseplants can do more than just make a home look cozy and inviting. Find out which houseplants you should have in your home and the health benefits that these houseplants can provide. For example, did you know that having a peace lily in your bathroom can prevent mold? 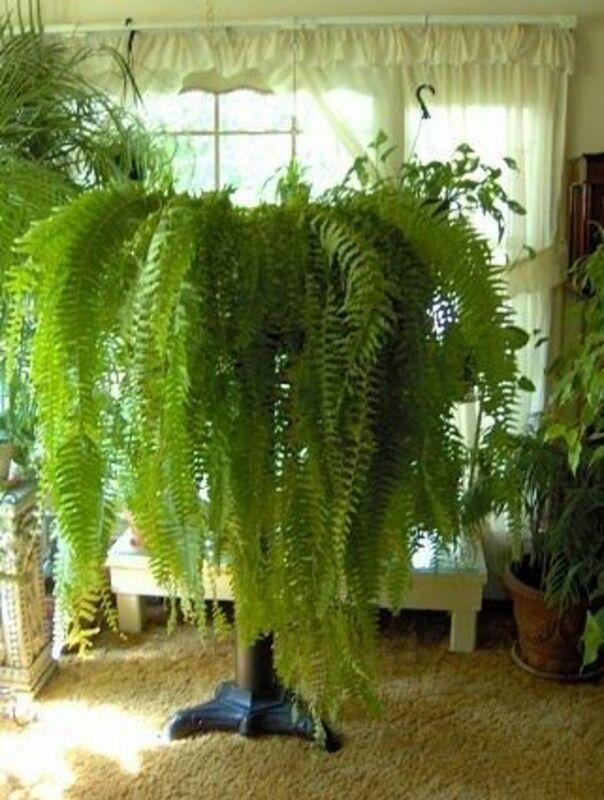 Did you also know that having a boston fern in your bedroom can help moisturize your skin? Some houseplants can actually optimize brainpower, enhance your immunity, improve your sleep quality and more! These easy gardening tips will tell you which plants you might want to add to your home for better air quality, too. Before we get to the houseplants that offer health benefits listed below, know this first before you even start thinking about them. Place healthy plants primarily in your "personal breathing zone", within 6 to 8 cubic feet of where you work, sleep or spend long stretches of time. Also, consider swapping commercial potting soil for clay pebbles (a method called hydro-culture). Studies show that plants grown in the material remove air-borne irritants more effectively than plants in potting soil because their roots are better able to "breathe". Reduce Mold - Peace Lily Plant - Offers White Tropical Flowers, Too! You can reduce mold with a Peace Lily. Not only are the flowers beautiful, but studies have shown that peace lilies can reduce levels of microscopic mold spores in the air by 60 percent! The flowers sop up the mold organisms through their leaves, then shuttle the spores to the roots for food. This is great for bathrooms since it prevents spore buildup on shower curtains and tiles. The result: less sneezing, not to mention less scrubbing for you. The plant also absorbs atmospheric vapors like acetone and alcohol. Research confirms that routine exposure to these chemicals (commonly found in grooming products) can lead to dry eye syndrome, dizziness and muscle weakness, especially in a confined space like a bathroom. The peace lily is a tropical plant that has dark green leaves that can grow up to more than one foot in length. It has white flowers and lives for at least a few years when properly cared for. 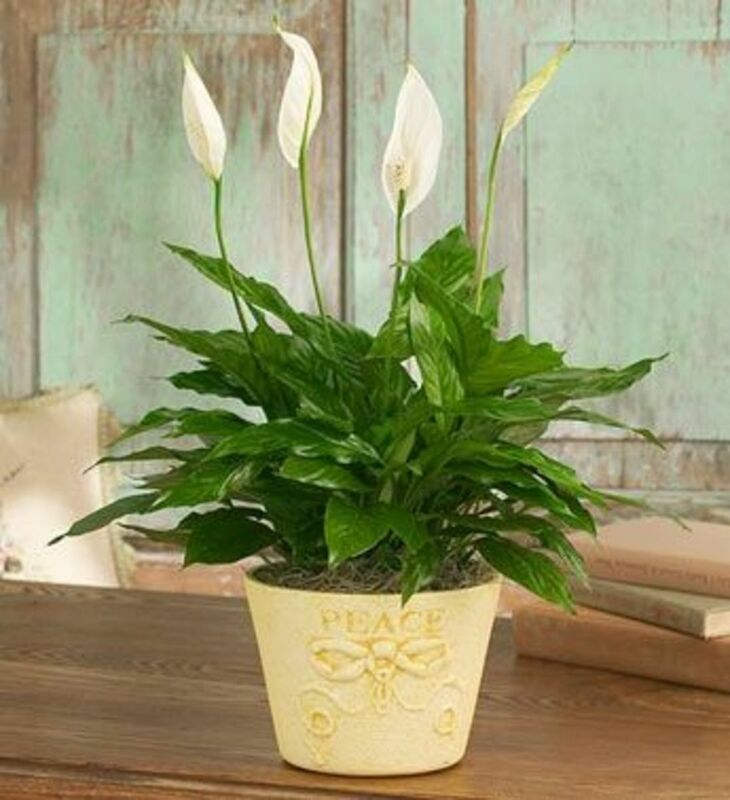 Peace Lilies produce white blooms April through October. They require full sunlight and should be placed away from drafts. When watering, drench the soil and allow it to become moderately dry between waterings. 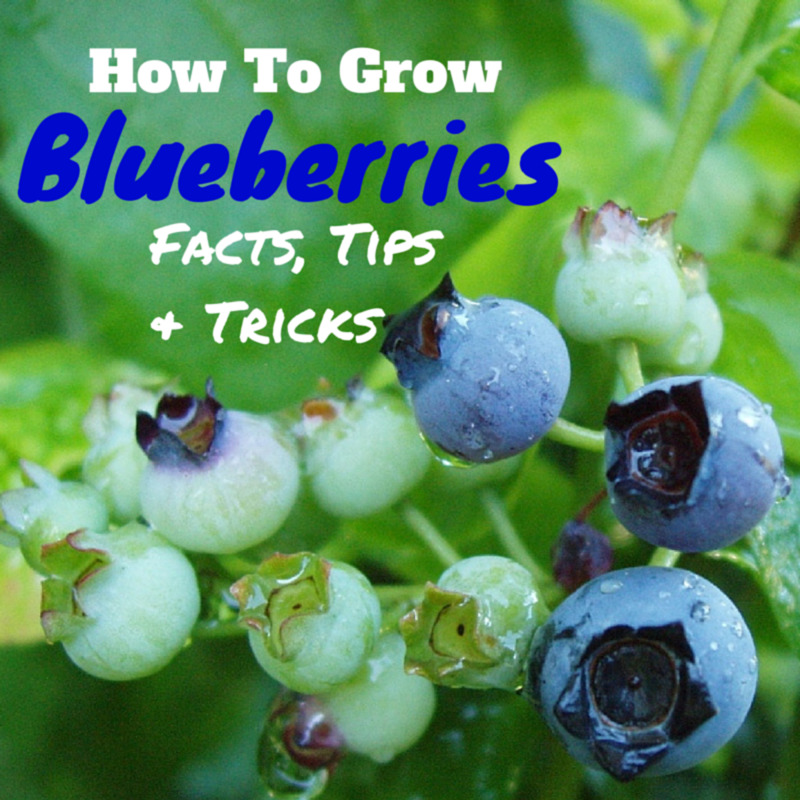 Feed every two weeks during the summer months only. Spraying the leaves with water makes the peace lily grow and bloom better. Sleep like a baby with Gerbera Daisies. While most plants absorb carbon dioxide and give off oxygen during the day, this flowery variety conducts the process at night, which is why I place one in the bedroom. The benefit: easier breathing and deeper sleep. Higher levels of atmospheric oxygen were found to stabilize breathing and increase the duration of sleep by over 10 percent. The Gerbera has daisy-like flowers which can be single, double, quilled or crested double on long stems. The are available in a variety of colors including shades of orange, red, yellow, white and pink. Gerberas will flower continuously for 4-6 weeks with proper care. Although they are a perennial in very warm climates, they are generally treated as an annual. I call them the happy flower, they are so cheerful. Bright light location is preferred as well as moderately moist soil. Water thoroughly when just the soil surface is dry to the touch. Do not allow plants to stand in water. 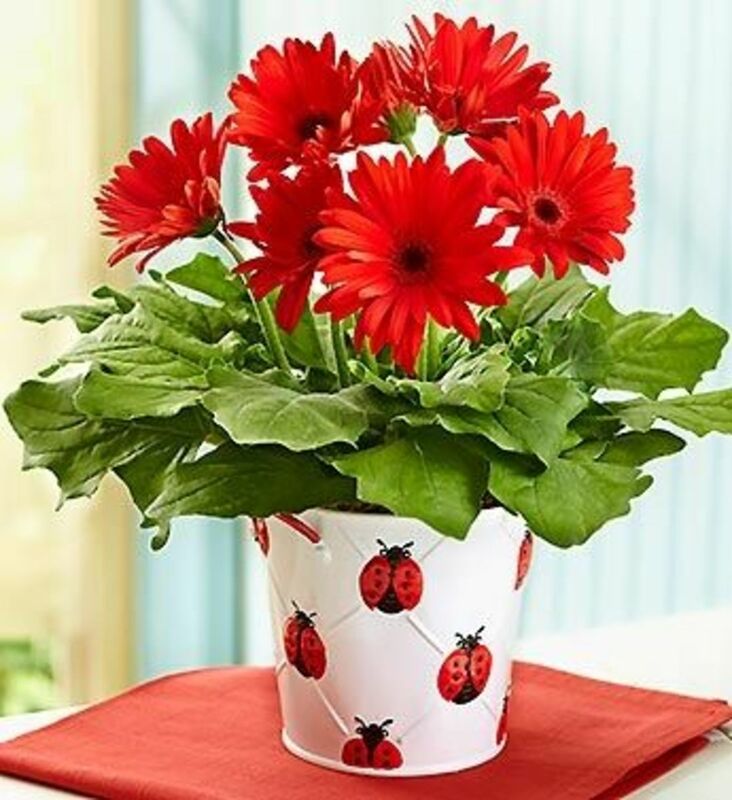 Gerbera daisy plants produce beautiful blooms July through September and are very easy to grow. They prefer full sunlight. Be careful the crown of the plant is above the soil and provide good drainage. Allow the soil to become moderately dry between waterings and feed every two weeks during growth periods. Enhance your brain power with African Violets. Gazing at flowering plants in the purple family, like African violets, stimulates the release of adrenaline. This energizing hormone improves creativity. Purple also triggers the release of endorphins, which ease stress and improve mood. Another perk: The body responds to flowering plants of any color by boosting oxygen flow to the brain, resulting in relaxation. 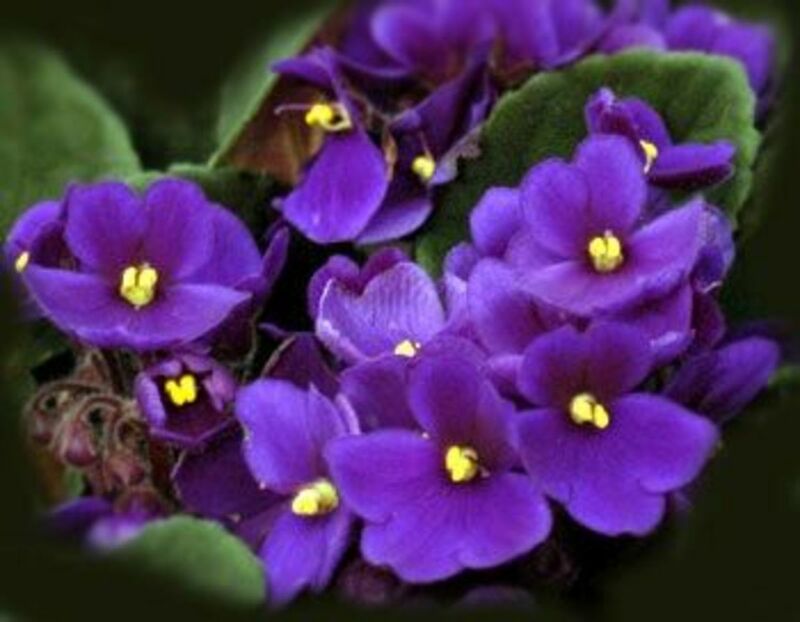 African Violets are lovely small plants, which may bloom at anytime. They prefer bright indirect sunlight and grow well under fluorescent light. Cut off the flowers after they die and provide good ventilation. Keep the soil evenly moist at all times and feed monthly spring through fall with a nitrogen-free fertilizer. Any of the featured houseplants below would make a nice addition to your home and provide cleaner air. An easy to grow houseplant that cleans the air. Smooth dry skin with a Boston Fern. Indoor ventilation saps moisture from the air, leaving many people suffering with parched, itchy skin. Boston ferns to the rescue! These houseplants act as humidifiers: They restore moisture to the air by releasing water vapor in exchange for atmospheric pollutants, which the plants convert to fuel. The Boston fern houseplant bears apple-green, sword like fronds that arch gracefully down around its pot. It also yields numerous slender, furry runners that produce new plants at their tips. There are many varieties of Boston fern, most with frilly or lacy fronds. The Boston Fern is the ideal hanging basket plant. It requires a little extra care in that it likes good, rich potting soil and should be misted frequently with warm water. Boston ferns grow well in bright indirect sunlight. Keep the soil barely moist and feed weekly. Do You Have Any Houseplants that offer Health Benefits in Your Home? Yes, I think they help improve the air quality too! No plants in my house. They need too much care. Clear congestion with the Eucalyptus Plant. Eucalyptus offers prime defense against spring colds. Its leaves are packed with tannins, chemicals that, when inhaled, raise levels of healthy periciliary fluid in the body's airways. Breathing in the scent of eucalyptus can raise fluid levels in the respiratory tract, thinning and loosening congestion-causing phlegm. 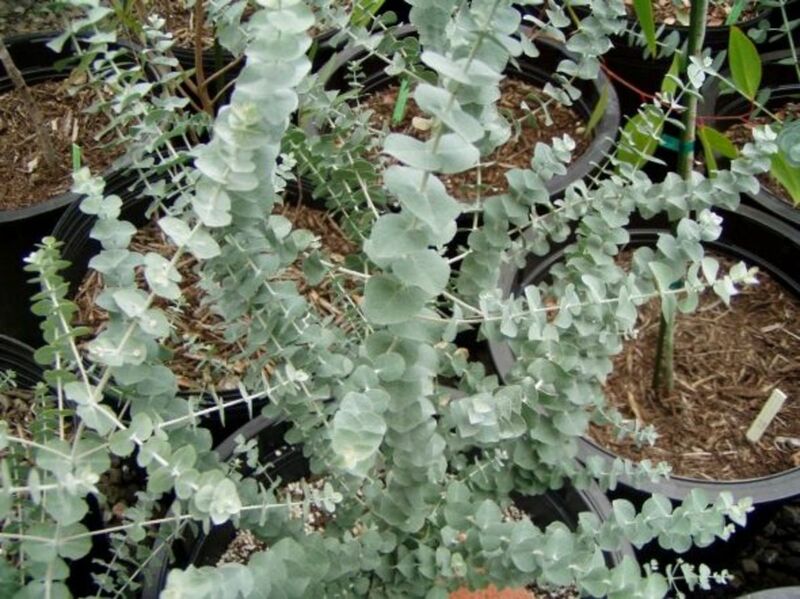 Florists love the eucalyptus for its interesting leaf form, color and long life once cut. It makes a great background or can create an interesting display on it's own. For those who wish to grow Eucalyptus in pots or who do not have garden space many species will accommodate pot culture (this includes the colored flowering species) with some care for winter protection. They will often start flowering at a relatively early age (from 2 to 4 years). 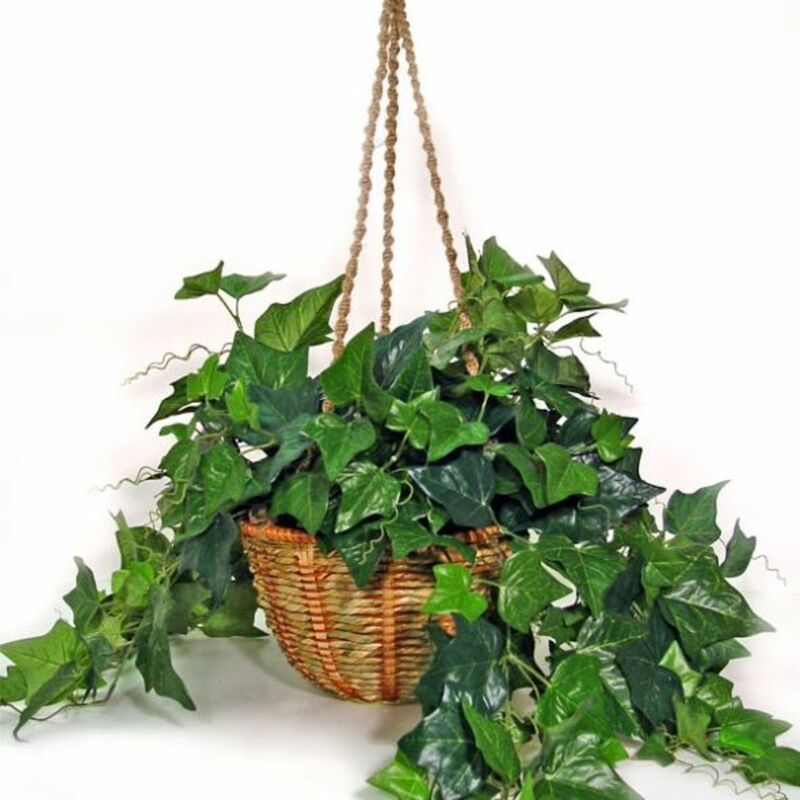 Ivy plants are easy care leafy green plants perfect for hanging baskets. Ivy grows well in bright indirect sunlight. Keep the soil evenly moist, mist occasionally with warm water and feed every two weeks during growth periods. Breathe cleaner air with a Spider Plant. 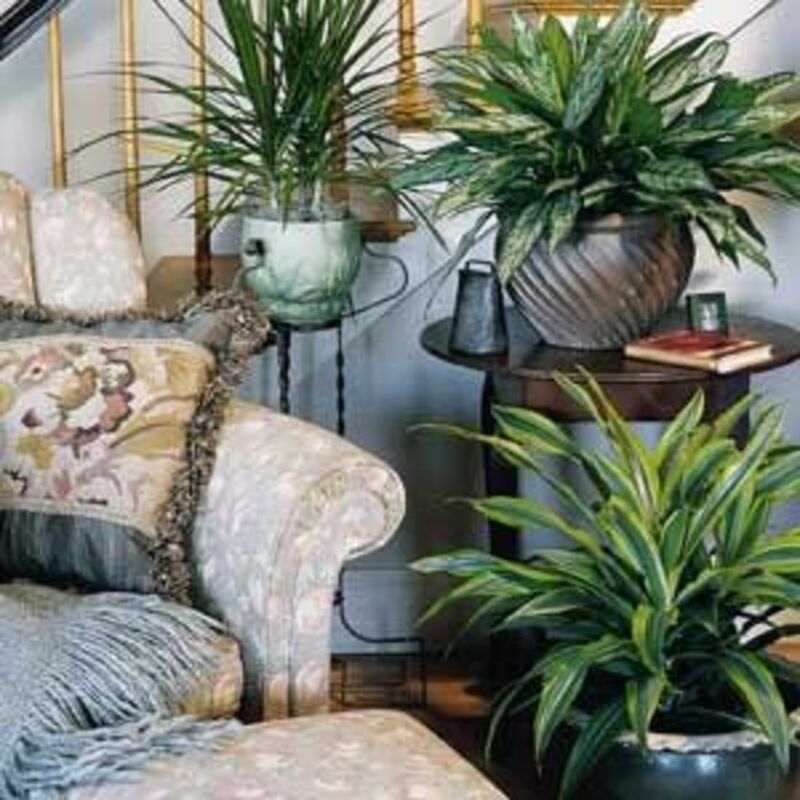 Research has revealed that houseplants can remove nearly 90 percent of toxins from indoor air within two days. And with its numerous quick-growing leaves, the spider plant is one of the most powerful air cleansers. 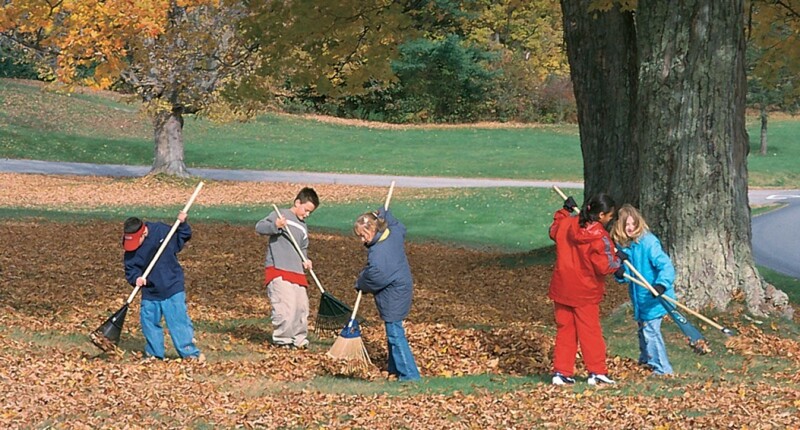 Microscopic openings in the leaves filter harmful substances and absorb mold-spore allergens and traces of carbon monoxide and formaldehyde (a colorless gas emitted by some carpet materials and furniture). This guards against wheezing, headaches and brain fog. The Spider Plant requires only light watering. Allow the soil to dry completely in between waterings. You only need to water the spider plant once every two weeks. If the foliage begins to show black tips or a yellow halo, you are probably over watering the plant. If the foliage begins to drop, the plant is ready for a drink. If the foliage begins to brown, try watering with distilled water. 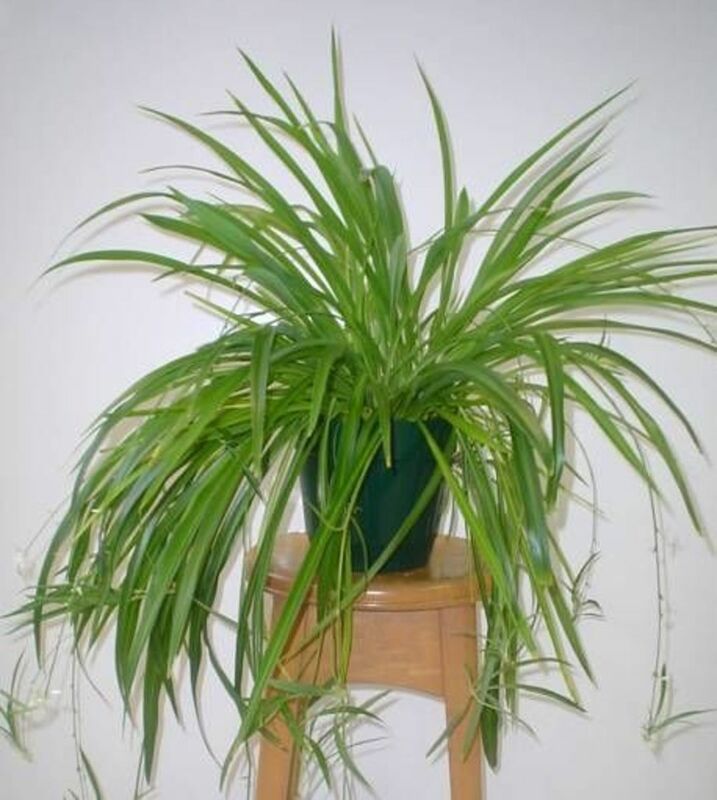 The Spider Plant has been known to have problems if there are chemicals in the water. Most of my houseplants are cactus and succulents. They're hardy, and I really like the various forms and textures. I also have a favorite fern. Dragon tree. I would like to get more houseplants, this lens is a good reminder. Eucalyptus has always been a favorite of mine. I like the invigorating smell. Yes we have a Peace Lily, Boston Fern and African Violets. Very interesting lens. I haven't any houseplants right now because our cat takes rather too much of a liking to them unfortunately. I might get a few spider plants in hanging baskets though just to brighten up the place. I love housplants! They really add to a home! My mom always had houseplants when I was growing up and still does. I did not know there were so many "hidden" benefits to having them besides the obvious beauty of the plants. Very informative lens. 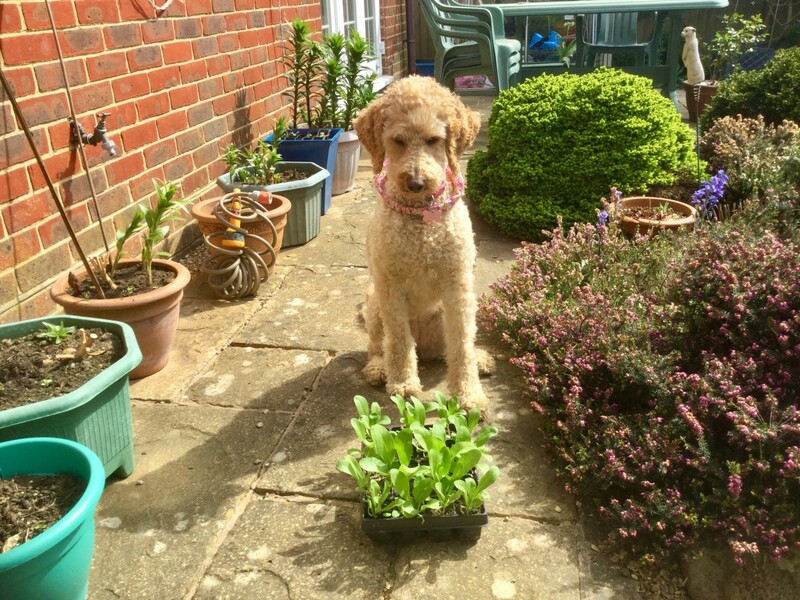 Thanks for your ideas about the benefits of houseplants. I will be back to see what else you have to say. I have never had any luck with house plants. My good husband has always made sure that we have indoor plants for the pure beauty of it. I had no idea that house plants could be so beneficial to one's health. Thank you for the great information. I also appreciate the encouragement you've given me with your Angel Blessing an' your Squid Likes. I truly am grateful for your visits. We have some of these at home, it's great to know they come with health benefits. Quite an informative lens! Good to know about the health benefits of these indoor plants. Great information! I was looking for a nice houseplant that would add cheer to the kitchen, but now you've convinced me that I need one in every room! Nicely done, and thanks for sharing! Enjoyed the lens, I think houseplants help people to have a slightly better dispositions. Its nice to have plants nearby. Great lens. I do like greenery around the house. wow.i didn't know that African Violets is beneficial for the brain great information. Great lens. It's nice to know that these houseplants don't just make a home look pretty but they have health benefits too. Really interesting and informative lens. I'd like to try a few of these out but I'm not sure how long my brown thumb can keep them alive. It's really nice having some green around the house - great work on this lens. Blessed by a SquidAngel! Thanks, now i'm gonna have to add on a greenroom to my house! I love indoor plants--I have a peace lily, but cannot get it to bloom again, however. Argh! No plants seem to thrive at home - if I put them on the windowsill, the cat either eats them or knocks them off and anywhere else seems to be too dark. But what a fascinating lens on the health benefits of plants. Very interesting - thanks. We have a couple of plants for which we don't know the names, several guzmania plants and a couple of red leafed coleus. I used to grow African violets and loved them, but have switched to hardier plants now that I can't pay as much attention to them. Excellent lens! I am featuring on my houseplant lens. :) I have too many houseplants to count...mostly cacti and succulents, but I also have four peace lilies, an English ivy, spider plant, and Boston fern from your list. I used to grow many spider plants, they makes our home more fresh and comfortable after decorations. I like them all except the Spider one. No plants right now, but perhaps in the coming year. Thanks for the inspiration! Interesting, educative &amp; well-researched lens! Loved reading it. It makes one take a step closer, to having that indoor plant! Blessed by a SquidAngel. I am allergic to pollen so would probably go with the Eucalyptus, especially since it helps relieve stuffiness. Excellent and interesting lens. Hi there, I just found your lens and really liked it. I gave it a thumbs-up and liked it, because the information is so relevant in today's high stress world. Thanks for providing it, and keep on lensing . . . I just did one on Migraine Headaches that might interest you. Have to get some new houseplants. Did not know you could get them on Amazon. Thanks for all this info! My purple african violet is blooming right now. I must look at it more often after reading your very informative lens! Great lens! At the moment all I have inside are some vegetable seedlings and the eucalyptus leaves which our stick insects are eating and one small bamboo plant. Does that count? I tend not to be very reliable with watering plants inside. At least outside, the plants get rain! Very interesting lens! I learned a lot here about several houseplants I currently own: peace lily, english ivy and african violets. Wow - now I want a spider plant too! I recently started growing orchids indoors - check out my lens "GrowingOrchids101". Fascinating lens. I had no idea about the benefits of some of these plants. Thanks for the great info. May I share an interesting note about peace Lilly care: They are different from most houseplants in that they are bog plants. They do best if their pot is allowed to sit in a dish of shallow water at all times. Sitting in water would cause most plants to develop root-rot, but peace lilies actually suffer root damage if their roots are allowed to dry out between waterings. Damage from drying out can affect a peace lily's ability to use water later on. My peace lilies have been growing like crazy since I placed them in water trays. Great info. Finally something that can counter act all the harmfull chemicals in the air. Something I worry about all the time. Thanks. I apparently need a Boston Fern. Nice lens, I learned some things! excellent information on your lens. Having indoor plants for decoration indoors while making use of its cleaning and health benefits. I like this lens. It is very informative. Great tips. My fiancé is unable to keep any plants alive so I will ask her to review your lens here so that she can get some guidance.